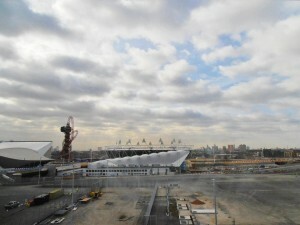 The 2012 Olympic Games in London are expected to have a positive impact on employer hiring. According to the recent Manpower Employment Outlook Survey, businesses in the British capital are planning to increase staff levels before the beginning of the Olympics. Although many of the offered jobs would be temporary, the effect of the Olympic Games on the UK economy is expected to benefit the country in the long term. “We are seeing thousands of positions become available thanks to the Olympic Games. Whilst it’s undoubtedly true that many of these jobs will be temporary lasting only for the summer, we shouldn’t underestimate the impact that an upturn in attitude can have on the psyche of the nation as a whole”, stated Mark Cahill, Manpower UK’s managing director. Good news for expats who are interested in working in the IT sector. Reports show that the upcoming Olympic Games are expected to create more than 5000 IT and telecoms jobs. According to a research conducted by Greythorn, the Olympic Games will generate over £250m for the IT and telecom sectors. More IT and telecoms employees will be necessary during the Olympic Games due to the high level of technology services required to support the Olympics. Cyber security and high-tech infrastructures will be essential to the smooth running of the Games. Construction, hospitality and retail sectors are also increasing their demand for IT employees. “The demand for skilled technology professionals is already increasing markedly, said Paul Winchester, managing director of Greythorn.